They've had this album under wraps for a while, but Vieon's first live album is coming out on the 9th March. The band are on tour from the 15th March with full details available here, and a number of live dates are scheduled for the rest of the year. Ahead of Live In Manchester's release, CONTROLRadioUK had a listen to the album and it's really good. I absolutely love instrumental music and quite often find it's extremely under appreciated. 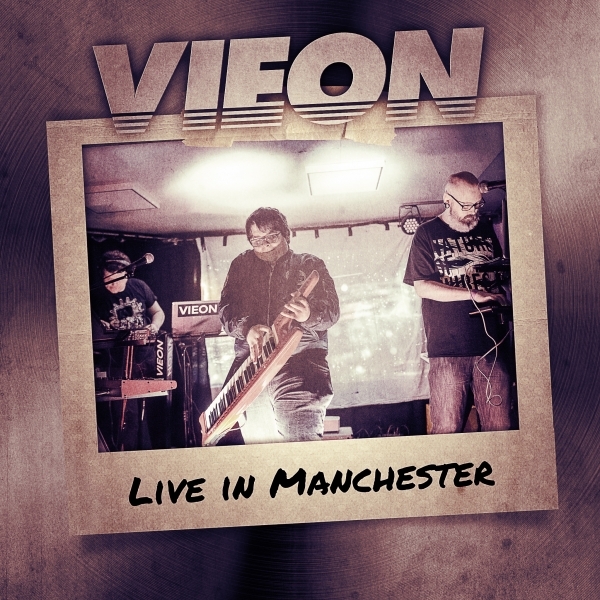 Granted in the wrong hands it can sound grating and tedious, but that's most definitely not the case here, with Vieon building a sound reminiscent to Daft Punk. The album opens up with Countdown. It's the shortest track on the album and really sets the mood for what we can come to expect, setting the mood perfectly to lead into High Concept. It's an atmospheric number with great sound effects, that mix several different types of music together and brilliants builds into Fly By Night, a particular crowd favorite and it's not hard to see why. Its dreamy in nature, a nice solid beat and it's impossible not to dance along to it. Proteus continues to turn the notch up with a dance ballad, that build well before climaxing in the middle. Meteor follows on from that with some funky sounds that tie perfectly into Extant. You'll feel as if you've been transported back to the 70's with these synth pop beats and the kick down is marvelous. Rise is another stirring number that probably wouldn't look out of place in a sci-fi movie. Transmission is a smooth song full of 80's undertones, and the climax perfectly leads into Equinoxe Pt 4. which is probably the best song on the album. It's up tempo, wonderful synth beats and a song you can dance the night away to. The albums finale Starfighter is another crowd favorite and it's easy to see why, with it's up tempo atmospheric vibes that made you feel as though you're hovering among the stars.